Observation - What are these bugs? - UK and Ireland. 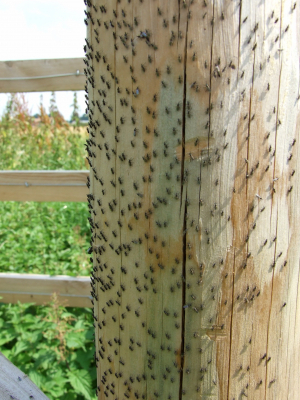 Description: Looked a bit like flies, very tiny, all facing in the same direction on a fence post. Looked a bit like flies, very tiny, all facing in the same direction on a fence post.